At Harvey’s school they hold sport’s day on a Saturday so working parents can attend. The form for the day is to turn up with a picnic so as soon as I got up I started preparing it. 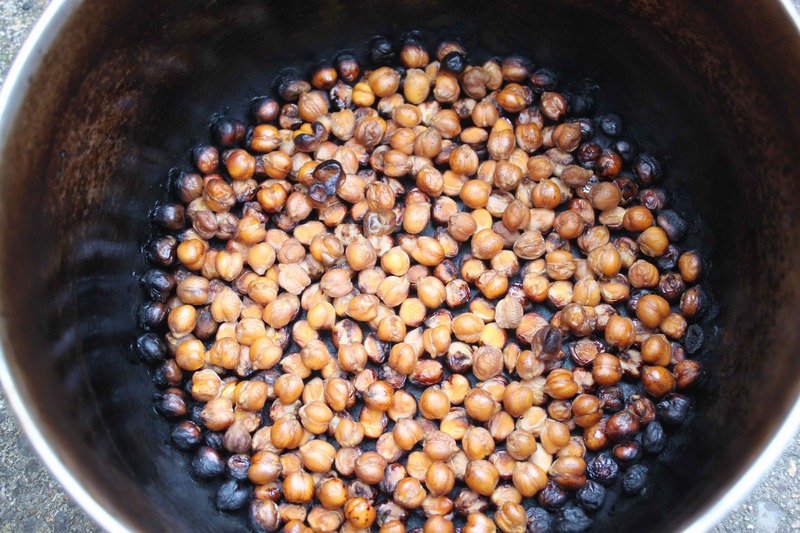 The chick peas I had soaked the previous day will not, unfortunately, be turned in to a delicious humous as I managed to burn them so spectacularly! Everything else turned out ok though. 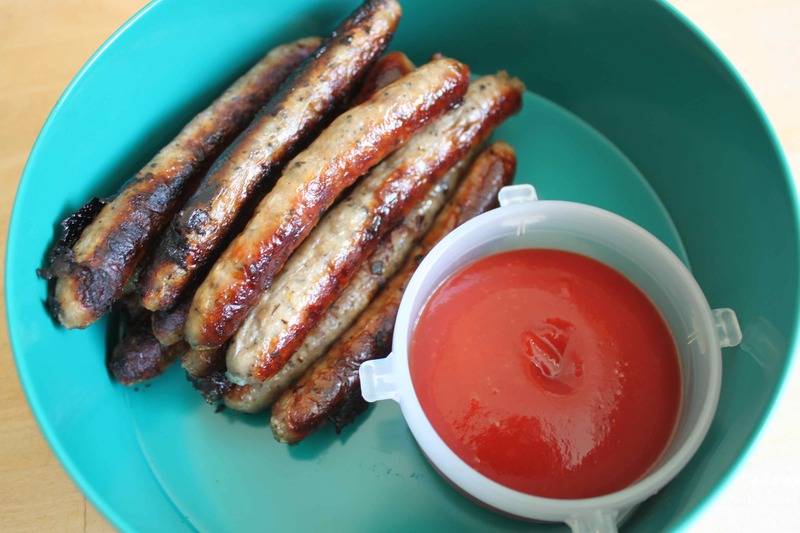 Chipolatas with Ketchup. 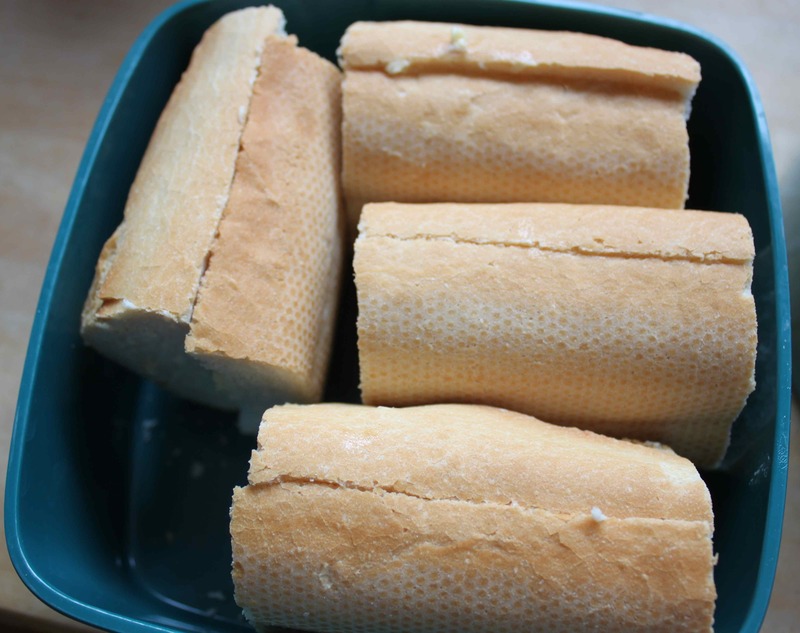 White bread to put the sausages in. 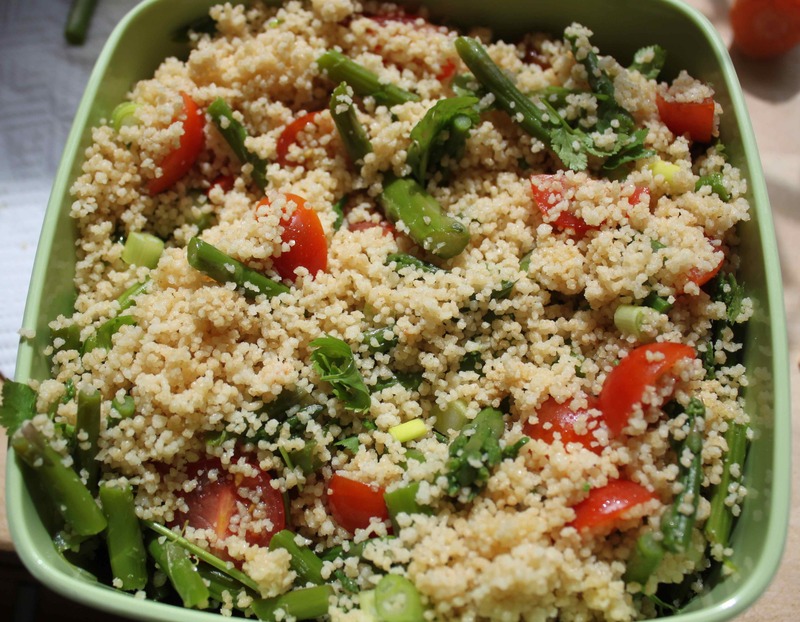 Couscous with asparagus, cherry tomatoes, spring onions and coriander, dressed with olive oil and lemon juice. 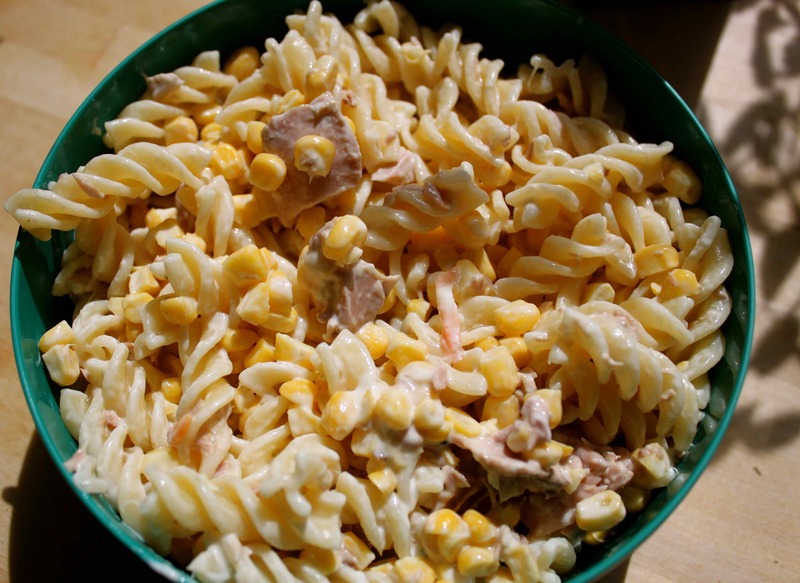 Pasta with tuna, sweetcorn and mayonnaise. 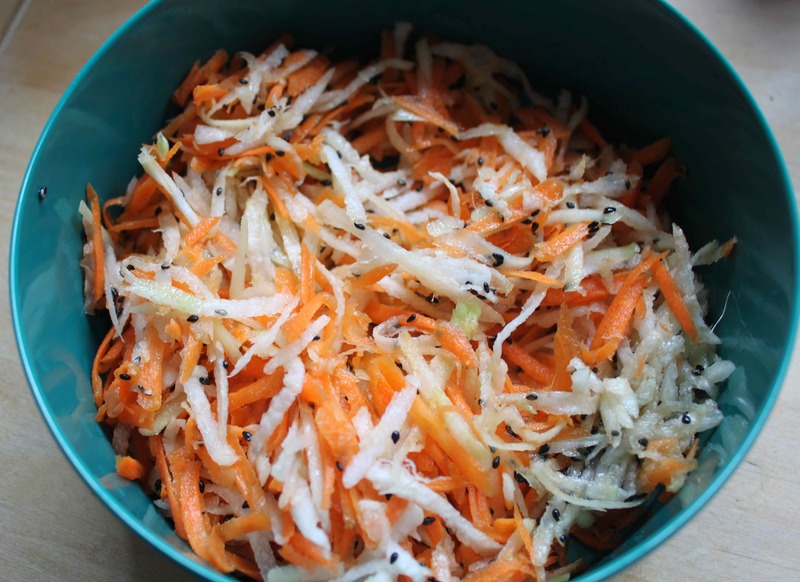 Grated carrot, mooli/daikon and kohlrabi with black sesame seeds and sesame oil. 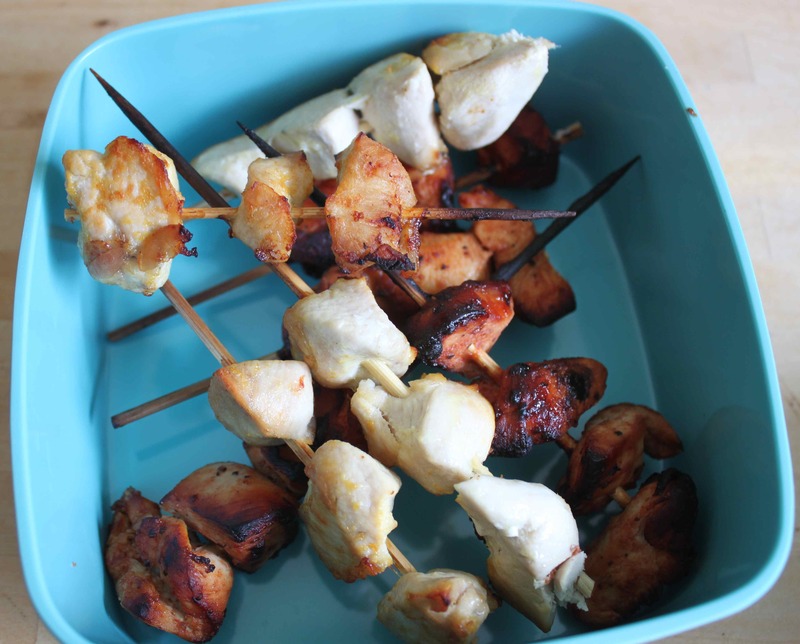 2 types of chicken kebab; one coated in a BBQ sauce and the other marinated in olive oil, lemon juice and garlic. 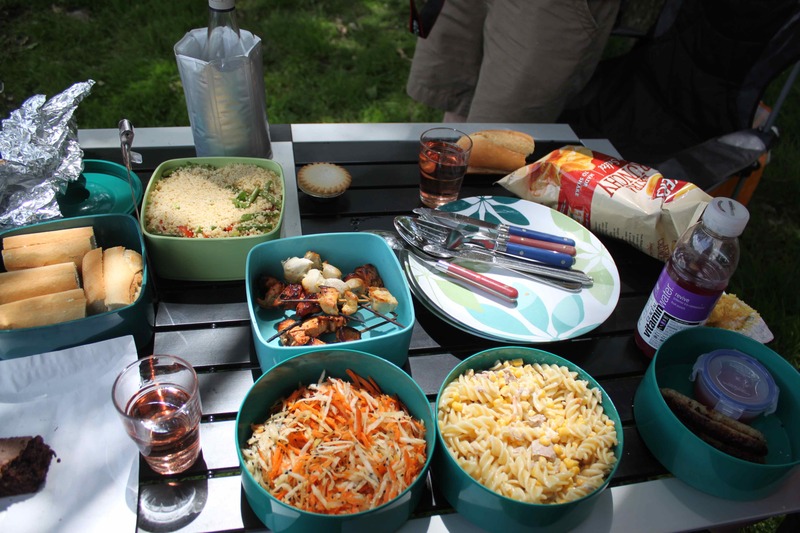 All placed in to the different compartments of the Tiffin boxes, which make carrying a picnic and then serving it very easy. We found ourselves a shady spot under the giant oak trees. I wasn’t sure if I would need shelter from rain or sunshine and luckily we had sunshine. 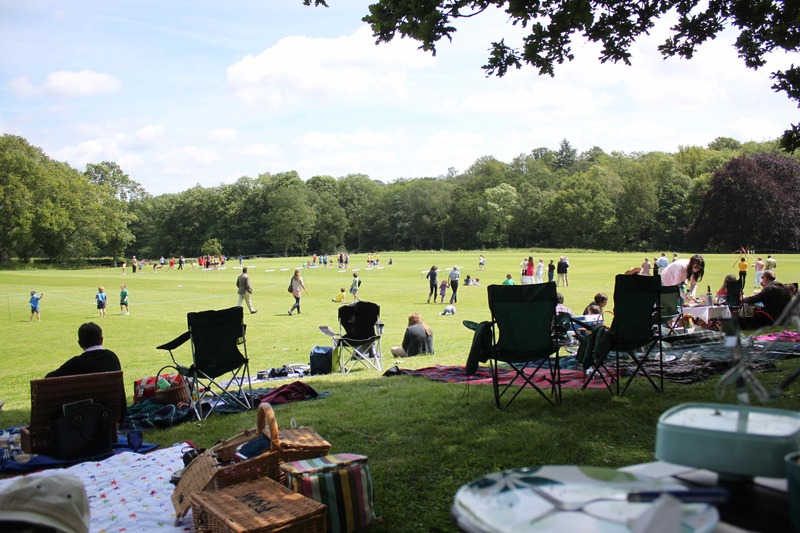 We enjoyed watching the sports, munching our lunch and wandering round chatting to people. 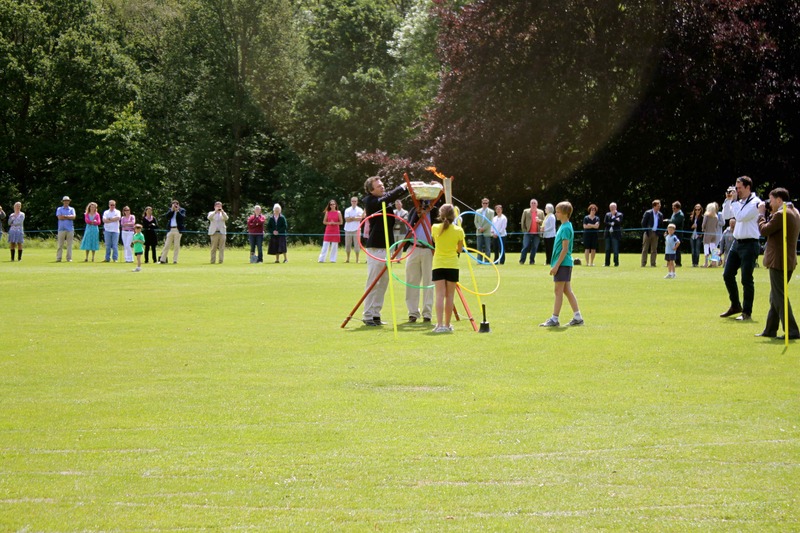 Jubilee fever is being replaced by Olympic fever in Britain and sports day was no exception. 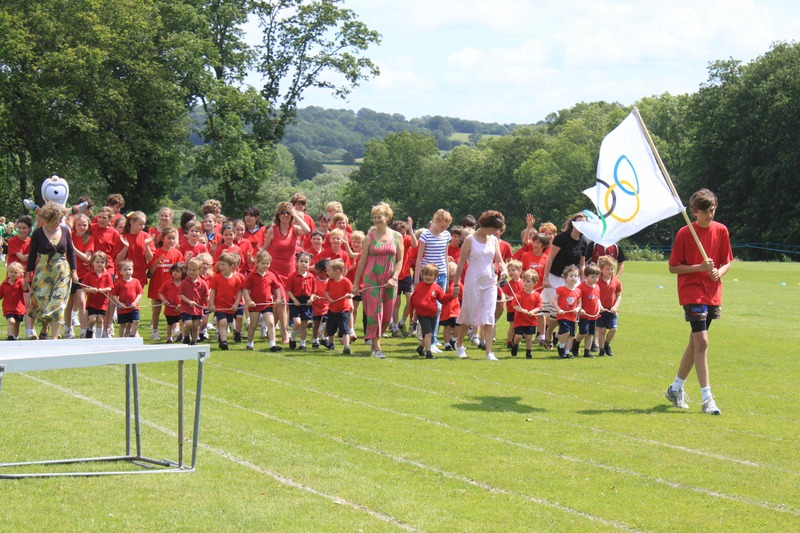 The sports began with the children parading around the athletics track, following the Olympic flag. There was an Olympic torch relay and the Olympic flame was lit. It was all very pleasant but not a great event for a woman on a diet. 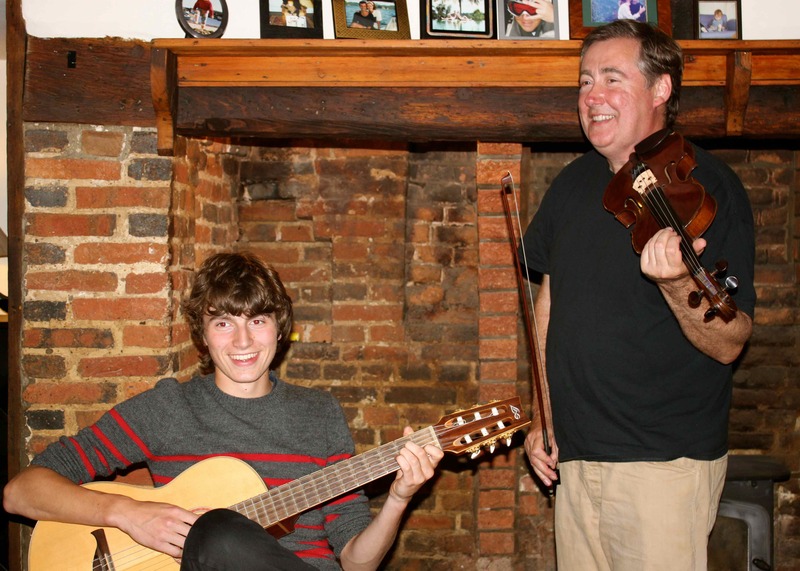 I drank wine, ate bread and cake and sausages. But no sports for me. No way will I be in the Mother’s race! In the evening we headed up the hill to the home of Veg Grower and Tree Planter. We made time before dinner to admire the lovely vegetable garden. I genuinely get a wonderful sense of connection to life in a vegetable garden. I like the neat rows which appeals to my fondness for order and love the food growing which taps in to my nurturing side. 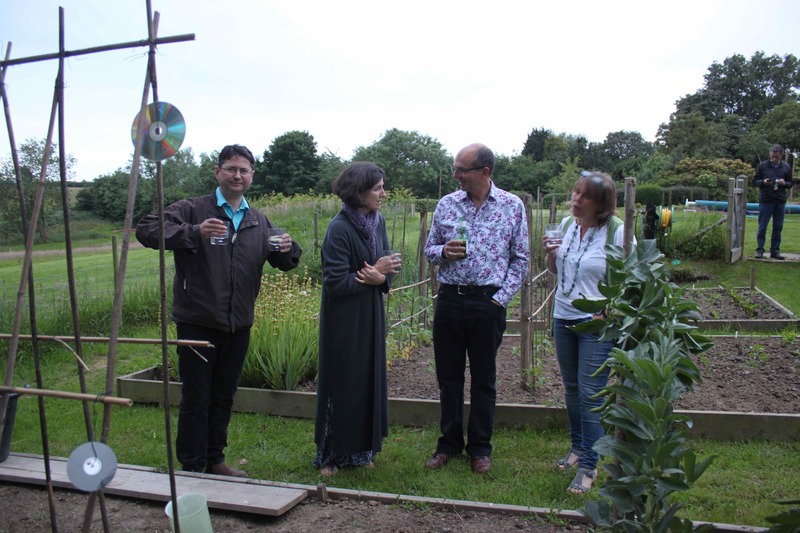 This is a beautiful vegetable garden and one I particularly enjoyed admiring with the assistance of a large G&T. The food was fantastic. 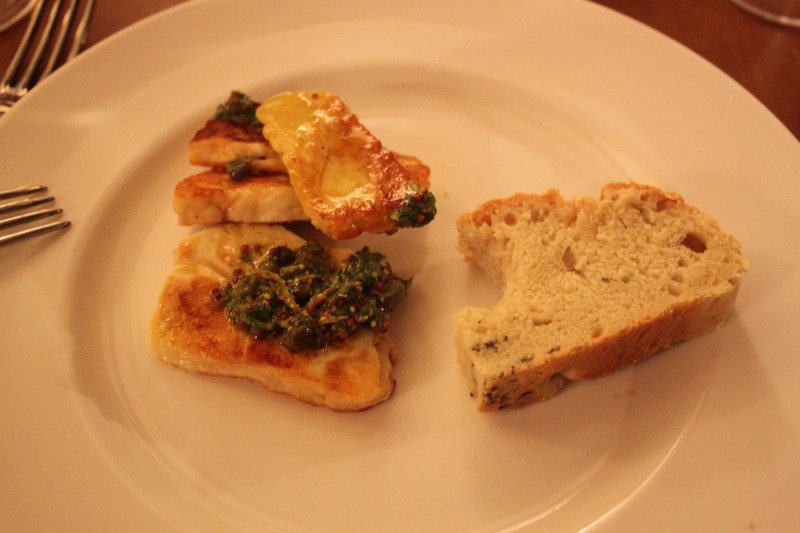 We started with halloumi which had been fried or grilled and covered with a delicious mix of fresh herbs, capers, lime juice and olive oil and served with home made bread with rosemary. I loved it and could have eaten that and nothing else and gone home happy. This modest little portion is only a fraction of what I actually ate. It was so delicious I couldn’t resist it. To say I pigged out would be an under statement! Luckily I didn’t just eat the starter because the main course was amazing. 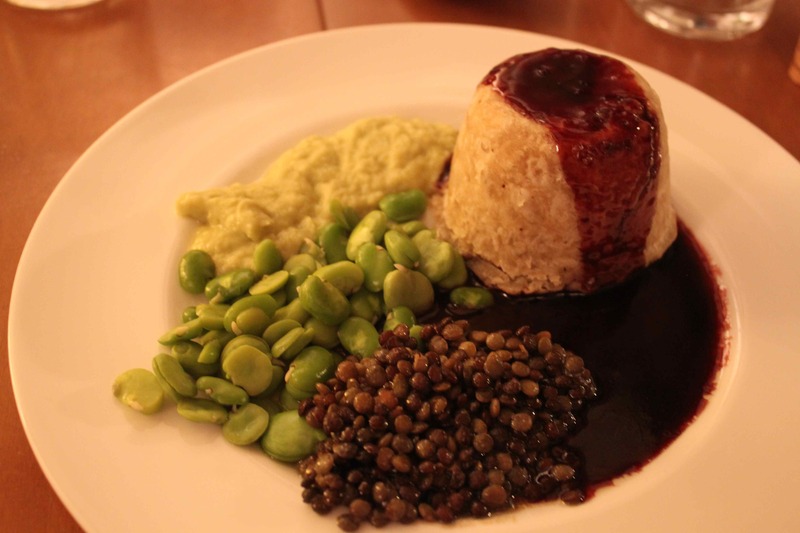 I knew we were having a vegetarian meal and when it was served I thought it was lentils with brown rice. How wrong I was. 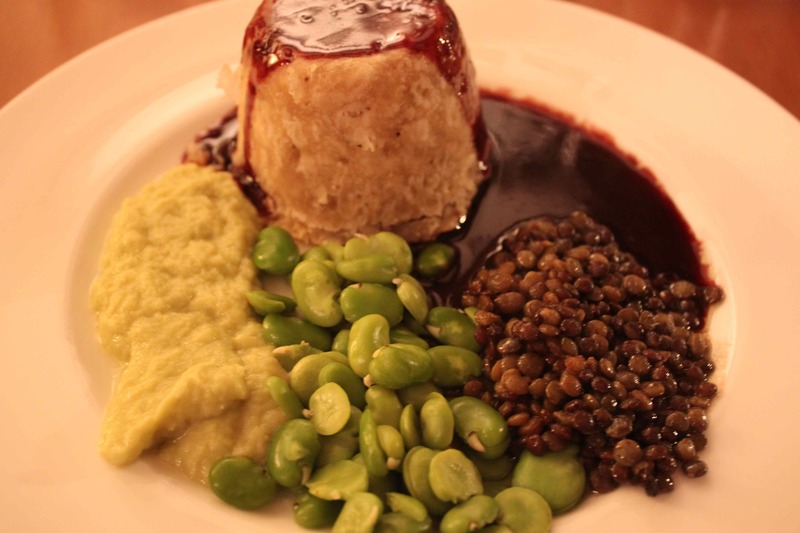 We had lentils, fresh broad beans, leek puree and a (vegetarian) suet pudding full of delicious mushrooms. Served with an incredible sauce made from a whole bottle of port and a whole bottle of wine, reduced and then some butter added. Wow. This really was sublime. I though I might chain myself to the table and refuse to leave until I was fed again. All far too delicious for me to be remotely sensible about how much I ate. Dessert was lovely too. 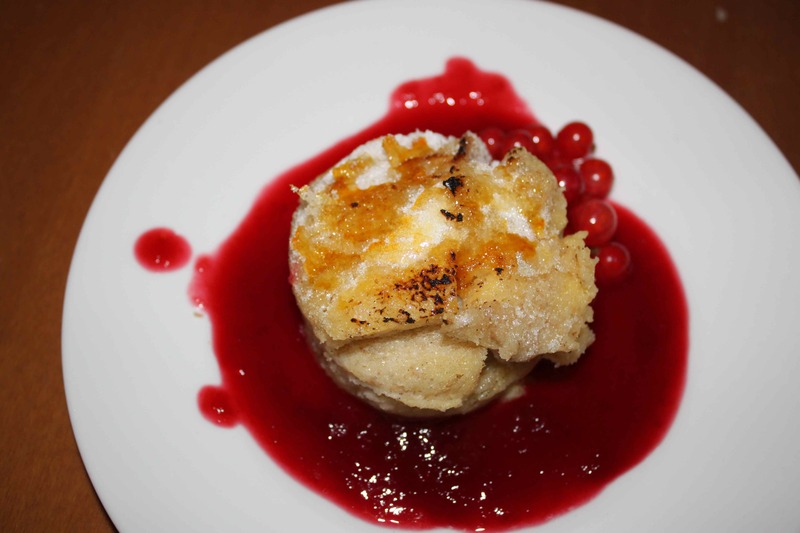 Bread and butter pudding, served on a plum coulis with red currants from the garden. 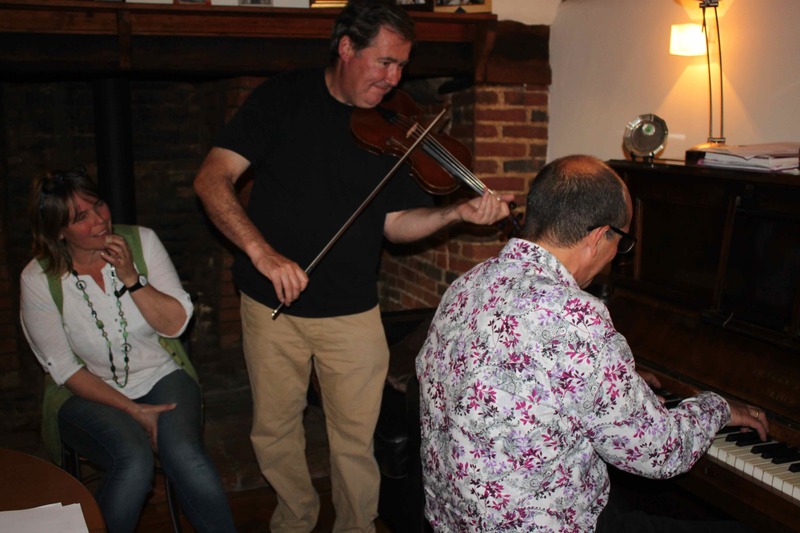 and then our host played for us too. 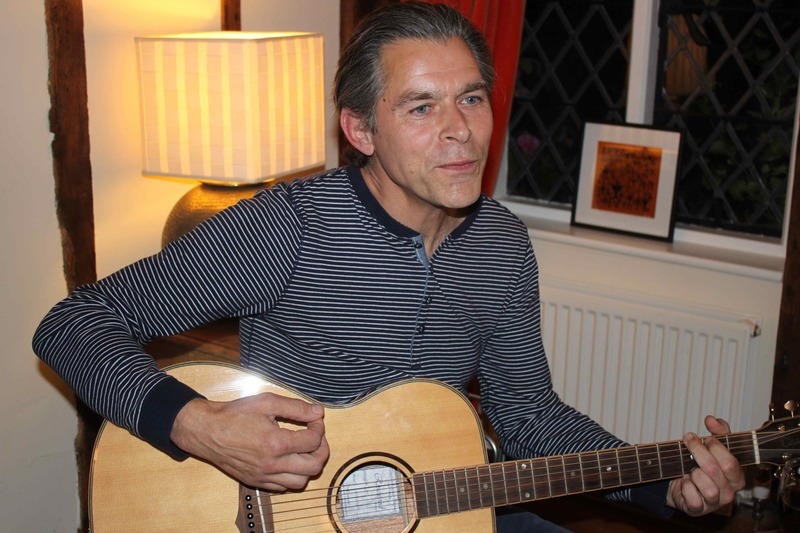 It was a really wonderful evening with sublime food and great company. Thank you so much to our lovely host and hostess. I hope I can return soon 🙂 . 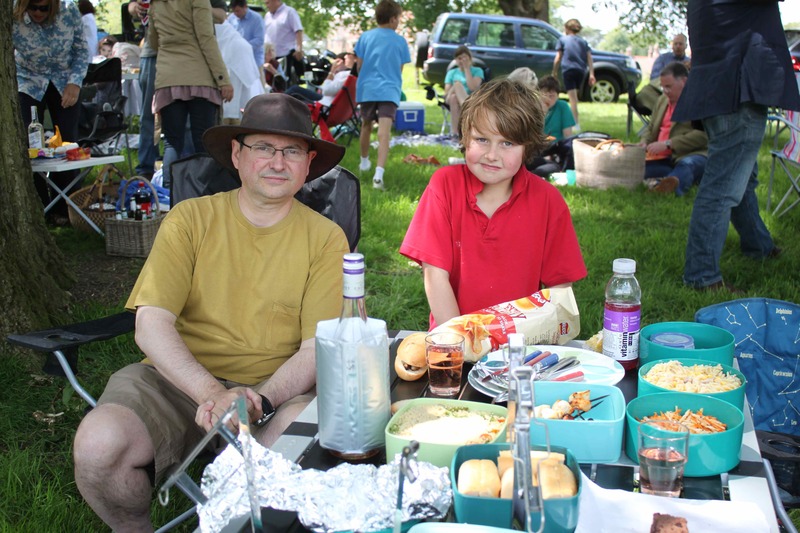 This entry was posted in Uncategorized and tagged Cheese, Picnic. Bookmark the permalink. It was a wonderful day. I bought the round green one years ago in Habitat and the multi coloured one about 3 years ago in John Lewis. They are fantastically useful and not expensive. I have just ordered a smaller stainless steel one from http://www.indian-tiffin.com to take to work. 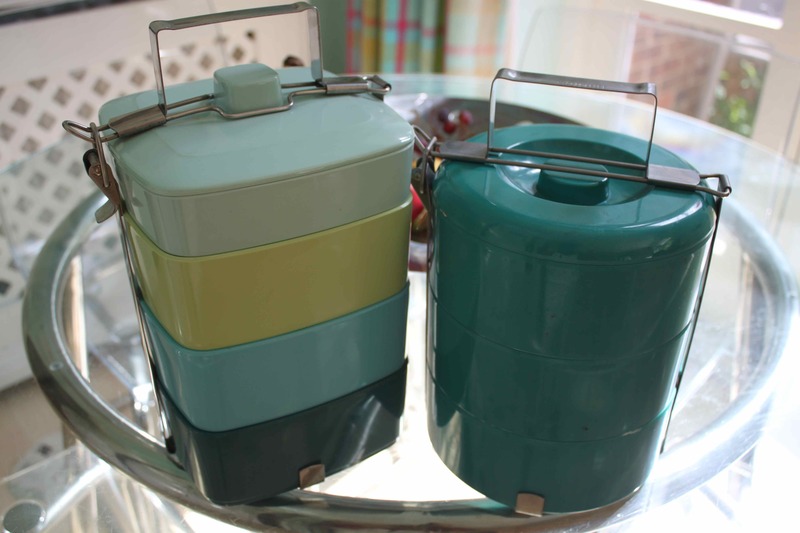 The 2 I already have are perfect for family picnics but too big for a packed lunch and breakfast.